Christmas is my absolute favourite time of year. I don’t know whether it has something to do with being a December baby, but I love it. There is just something so magical about it, especially when you have little ones of your own and they hit those golden years when they start to understand and feel the magic of Christmas for themselves. We had such a wonderful Christmas last year because even though the little lady was only two, she had a fairly good grasp of Christmas which made it such a lovely day for all of us. This year she definitely knows what Christmas is all about and has been talking about it since October. Now that we have the little guy too, we’re looking forward to celebrating our very first Christmas as a family of four, and although I am being realistic about what Christmas with little ones can be like, I am hoping that it will be even better than it was last year! I love to get into the festive spirit as early as possible, and now that things like half term and Halloween are out of the way I feel like I can start getting organised and planning all things Christmas. A couple of weekends ago I found this amazing little Christmas Organiser from my favourite Danish stationery shop Kikki K which is a must have for anyone like me that loves Christmas, loves planning and loves writing lists. Its been perfect for kick starting Christmas and inspiring this festive Christmas and New Years bucket list. Writing bucket lists is something that I enjoy doing as not only does it inspire us as a family to do more together, but motivates us to actually do the things on them that we say we’re going to do. So here are the things that we’re hoping to do over December and January for anyone that would love to read what we’re hopefully going to be up to, or is looking for some inspiration for their own bucket list! 1.Visit Copenhagen, home of Hygge and beautiful Christmas markets. 2. Visit a Christmas market, preferably in Copenhagen – see point 1. 3. Make a gingerbread house with the little lady. 4. Stock our Christmas bookcase with Christmas stories old and new. 6. Listen to Classical FM and Michael Buble Christmas albums on repeat, non stop throughout December. 7. Buy new Christmas pyjamas which has become one of our own family traditions. 9. Buy Christmas jumpers for the little ones. 10. Spend an evening wrapping Christmas presents with a little tipple and some Christmas music. 11. Pick out our Christmas tree. Again one of the family Christmas traditions that we have created for our little family. 12. Go to our church’s Christmas eve service. Another one of our family Christmas traditions, although since the little ones have come along I tend to go on my own or with my father in law as it’s too late for the little ones. 13. Go to Hogmanay in Edinburgh. Something that I have wanted to do for years and have already started looking into as you have to be so organised and all the best places to stay get snapped up quickly. I’d love to make a real weekend of it and have found a few family friendly IHG hotels in Edinburgh that look perfect for us. So that’s our festive bucket list for Christmas and New Year. I’d love to know whats on yours! Disclosure: this is a collaborative post. However all thoughts and opinions are my own. Previous Post A Year Of Marvellous Mondays! I LOVE Christmas! It is my favourite time of year and I start to get excited so early, I struggle to contain myself sometimes. I love your list, so many things on it that we are planning to do too! I actually looked at doing Hogmanay in Edinburgh this year as I always said we go to to celebrate our 10 year anniversary (we became “official” on New Years Eve ten years ago this year!) but it hasn’t worked out for us unfortunately – maybe next year! I’d also like to do a Christmas market next year when Alfie is a little older. Now off in search of that Christmas organiser – it’s fab! What a great list with so many amazing things on it! I cannot wait to take my two to see Santa, its so magical. Great list. A friend introduced me to Hygge recently so I’ll be reading more in the new year. A Danish Christmas Market would be FABULOUS!!! You might be interested in the post I’ve linked to here (it’s not my Twinkly Tuesday one–that’s the Handmade Christmas Crochet one. This one has great ideas for Christmas Eve including personalized pajamas, etc. I’ll DEFINITELY be back to read more of you blog! Um, Kikki K is Australian, and founded by a Swede, not a Dane. 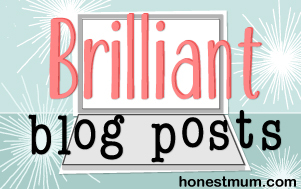 Otherwise, great post and love your blog! Sounds amazing. I love seeing what other people do over the holidays! Ooh it sounds like you’ve got a fab Christmas lined up! I (slightly) ashamed to admit that we’ve already made a gingerbread house this year – we were all really ill with the flu a couple of weeks back and the kids were miserable because they were stuck in the house. So I got out the kit and we made it. I’ll have to get a new one in time for Christmas! A great list. My fav is no 10 – wrapping pressies with a little tipple lol. Eeeek this made me feel so Christmassy Emily. You guys sound like you have some amazing things planned for a fabulous festive time. Michelle Twin Mum recently posted…Can you Give-up a Tub of Quality Street to help the Homeless this Christmas? I love Christmas too. I agree with you that now Halloween and everything is over with we can really start preparing for the big day. My daughyer is only 2 so she doesn’t quite understand the whole Christmas thing yet but I am still looking forward to seeing her little face on Christmas day. My niece is 3 and definitely understands what Christmas is this year. She is very excited. It’s so cute. five little doves recently posted…How many children do you have? Oh lovely and how magical to be able to get to Copenhagen. I hope it is everything you wish it to be. I’ve got our own plan for this Christmas and New Year – not quite as exciting as a trip abroad though! YAY CHRISTMAS! So exciting you get to visit Copenhagen, are you going to be visiting Tivoli Gardens? I hear that’s super christmasssy. Helen Gandy recently posted…Another New Chapter. I love lists like this. You have some wonderful things planned. Mr H and I went to Copenhagen years ago before babies came along. It is such a beautiful city and has a very relaxed pace of life. We loved it. I can’t wait to read all about your trip there. I must have been living on another planet because I have completely missed all things Hygge. But I think it sounds like something I would love. Hugs Lucy xxxx #MarvMondays – sorry that it has taken me so long to comment lovely. Bloomin’ migraines.